I will preface this post with one message, ‘Stop whatever you are doing and jump on a flight to Central Australia or Outback Australia, you will be BLOWN away‘, ok but really you will be. A few months ago I was lucky enough to travel to central Australia on a rally job (KKR), Alice Springs to Victoria with so much in between. Prior to the rally Matt Mead and I decided to explore Uluru for a few days, we arrived in Alice Springs and drove the 400 or so kilometers to Uluru. A word of warning when traveling to this magical place, its expensive, everything is expensive, in particular the rental car, I managed to find a pretty good deal for a new Holden Commodore, I think $90 or so dollars for almost 3 days, however the catch is you only get 100km per day of usage free, its almost 450km just to Uluru, one way, so we were up for excess km, quite a few excess km :), so bare that in mind, but really at the end of the day it doesn’t matter when you get to experience what is on offer. The drive from Alice surprised us both, sure it was sparse, the dirt was a beautiful rich red colour but it wasn’t as flat as we had envisaged, that would all come later on the actual rally. 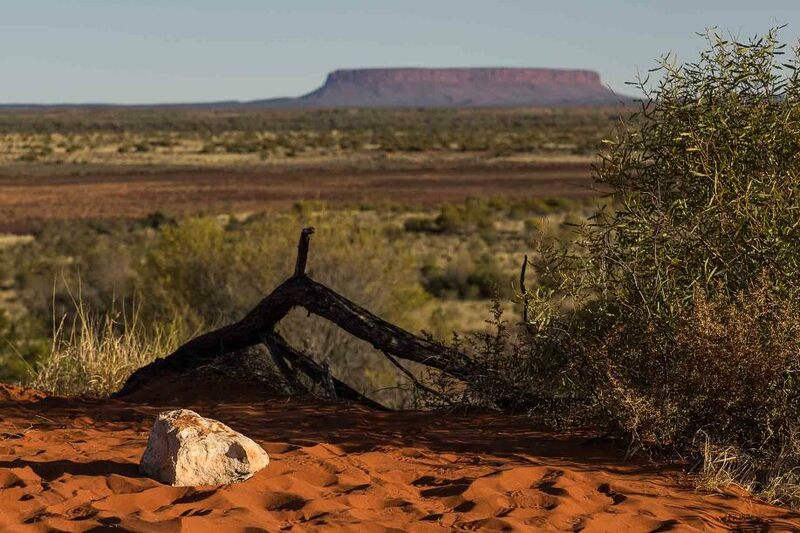 About 120km out of Uluru you see Mount Connor, if you haven’t seen Uluru in person you might mistake Mount Connor for it, we did but soon realised that wasn’t the ‘rock’. About 50km out of Uluru you start to see her in the horizon, I must admit, from a far she doesn’t look that impressive, Mount Connor looks far more superior :), its not until you get up close that you realise just how big she is, how beautiful she is, and what an amazing part of the world you are in, it is really hard to explain but for anyone who has seen her in all her glory they will understand. Uluru, also known as Ayers Rock is a large sandstone rock formation in the Kata Tjuṯa National Park. 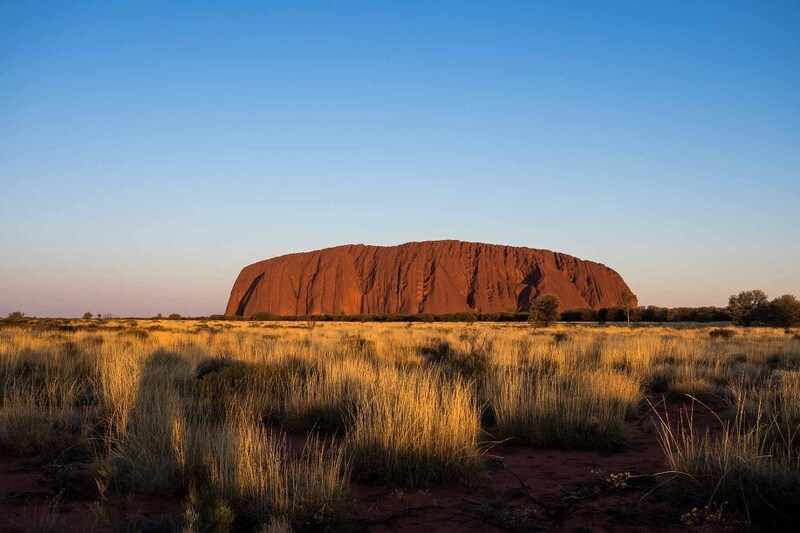 Uluru is sacred to the Anangu, the Aboriginal people of the area. Uluru is listed as a UNESCO World Heritage Site (thanks wikipeadia). The next day Matt decided to walk up to the top and I did a bit of exploring to kill time, I also had a helicopter flight booked for that afternoon. It took Matt about 3 hours to climb up and down, before you say anything, yes it is a sacred site and yes there are signs that ask you not to climb, but it is a request, it is not law, it is open to climb, the Aboriginal owners simply ask that you don’t, I am not here to argue if it should be allowed or not, Matt did it, personally I didn’t because I am not fit enough, the biggest problem for me is tourists who go to the top and leave rubbish everywhere, they try and break parts of the rock off to keep and as there are no toilets up there when they need to go they go, this is what bothers me, Matt and I are both respectful of these things, anyway it is what it is and Matt did say the view wasn’t that good anyway. Now finally what I had been waiting for, the helicopter flight, 36min at sunset, flying around Uluru and Kata Tjuta aka The Olgas, wow doesn’t even come close, one of the highlights of my life, these huge rock formation just in the middle of knowhere, speechless. The Olgas from the air are truly spectacular. The next morning which was also our last we headed to Kata Tjuta for sunrise, we both agreed sunrise at Uluru wasnt that impressive, sunset however, amazing, anyway there is a specific sunrise viewing platform for the Olgas, of course it was full of people, nonetheless an amazing sunrise and in actual fact the same spot offers a great silhouette view of Uluru, we also did one of the small Olga hikes, the Valley of the Winds, about 45min as you walk up through the rock formation. Our next stop, back to Alice Springs and the start of the rally. The Rally route was Alice Springs > Mount Dare > Coober Pedy > Wilpena Pound > Broken Hill > Mildura > Ouyen > Moama. The route to Mount Dare was practically flat landscape for as far as the eye could see, it is hard to fathom until you experience it. Mount Dare was a very special place, not only for its remoteness, character and charm but for the simple fact I got to sleep in a swag for the very first time, I wasn’t sure how I would go but I have to say waking up in the middle of the night unzipping the lid and seeing nothing but stars is really special, I cannot wait to do it again. Next stop Dalhousie Springs then on to Dalhousie Homestead, abandoned since 1925, it was built in the late 1800’s as a base for the Overland Telegraph Line construction team. Alongside Uluru I would say going to Coober Peddy was one of the other stops I was most looking forward to and I experienced more than I could have imagined. Coober Peddy is most famous for its Opal mines, we were lucky enough to be given a tour of a disused mine which was part of a Motel, not at all what I expected, fascinating, but what really impressed me were the ‘Breakaways’. The Breakaways are a striking & unique example of arid scenery. From the flat – topped mesas to the stony gibber desert, they provide breathtaking views. Looking out over the breakaways it is hard to believe that over 70 million years ago, a vast inland sea covered the area. The region is rich in Aboriginal and European history and is home to many native fauna and flora, which have successfully adapted to one of the world’s harshest environments. Definitely one of Outback South Australia’s best-kept secrets. The Breakaways are approximately 33km north of Coober Pedy. 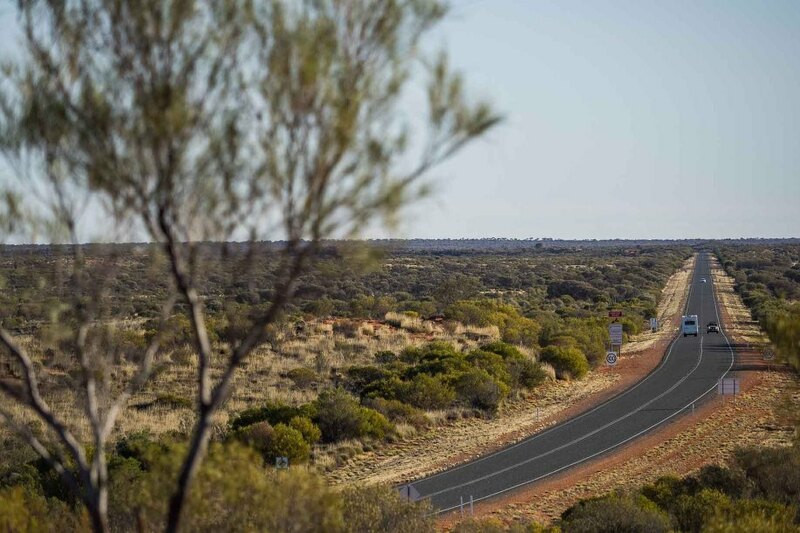 The Oodnadatta Track, a beautiful stretch of road that is so straight it is hard to comprehend. As we slowly moved back in to civilisation one of the last stops before a major city we visited the Flinders Ranges in South Australia, a place I have wanted to visit for a number of years, the Ranges are nothing short of spectacular. The image above was the route of the rally, through the Brachina Gorge near Parachilna, this route had been planned for a number of rallies but due to bad weather each time we were never able to come through, this time however we drove the entire Gorge all the way to Wilpena Pound, as you drove through the Gorge there were views that looked like the Canadian Rockies, only missing snow, it was truly spectacular and worth the wait, I think this will be one of my first stops back in Australia next year. The Darling River, an amazing route that followed the river, in some places the river was bone dry, in others it was completely full. And that was it, the days after Flinders Ranges were a bit of a blur, we had all just experienced something so many never get to experience and coming back in to civilisation the trip took on a different feel, it felt like our journey had come to an end. During the rally we traveled through literally the centre of Australia, saw some of the flattest country probably on earth and got to experience Australia like I had never experienced before, and I will end with the same message I started ‘Stop whatever you are doing and jump on a flight to central Australia, you will be BLOWN away‘. Don’t forget to checkout our work on our social media pages, and if you need to contact us don’t be shy, we leave for Iceland in a few days so the packing has begun and the excitement is starting to build.